Home / Literature / Opinion / Opinion: Beautiful Nonsense or Utter Gibberish? Opinion: Beautiful Nonsense or Utter Gibberish? When people say “the sky is your limit”, they are quick to shove aside in their subconscious an existence that transcends this planet— space! The literary sphere is vast and boundless, and there is no magnitude to which a literary writer can skyrocket in order to reach satisfaction. In fact, in literature, there is no absolute satisfaction. So many skies and spaces exist to be explored, and every writer becomes a bird in quest for endless freedom. 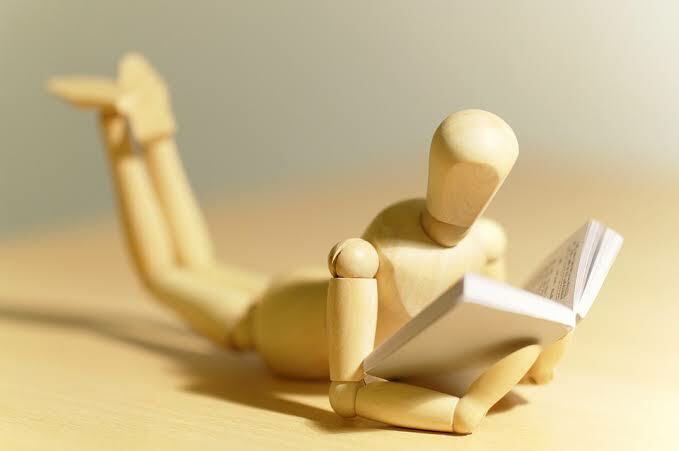 Literature, in its generally assuming posture, can be any one or more of the following purposes: educating, entertaining, therapeutic, informative, aesthetic and corrective. This is a roundabout way of saying that no piece of writing is a lone wanderer in the wilderness of life, as every writing is done to meet a particular demand, fit into some shoes or find home even in a very tight corner. Writers create beauty even from ugliness. I mean, fearless writers with uncompromising literary urges are expected to navigate very odd forms and score a point or more. That is how sophisticated or disturbing literature can get sometimes. And many writers, sad to admit, have got into trouble as a result of their unconventional experimentations. One famous British-Indian writer is Salmon Rushdie, whose novel “Satanic Verses” generated enough controversy to endanger his life. The last time I checked, he was in asylum, away from his birth place in India. Even our own Almighty Chinua Achebe (of blessed memory), during his lifetime got into trouble, as the torch of suspicion was beamed in his direction, after he released a novel that precipitated the first military coup in Nigeria. Other ugly tales exist of writers who dug into the darkest of places to exhume gems, phenomenal adventures which failed to resonate well with established societal doctrines. When you read a piece of literature and write it off in your mind because it does not go down well with your beliefs and sensibilities, or you assume the writer simply wrote that piece in a state of stupor, you might just be wrong because under that nonsensical skin which the piece wears could be an inner beauty yet to be noticed or discovered by you. It might as well just be that the piece doesn’t meet up to your set standard of what you consider “good literature”—but your personal disposition wouldn’t render the piece “utter gibberish”. This brings us to the concept of what I term “beautiful nonsense”. Now let me talk briefly about my style. Some of my writings, it is true, have sexual connotations that may arouse sensual images in the mind of a reader. Some of my poems are buried in ambiguities that may shroud the mind of readers with haziness. Some of my poems are concise and apt. Some of my writings are dicey experiments. Yet none of my literary spills is a mistake, every one of them is a deliberate attempt to strike a chord; they are beautiful in their own unique ways even if any appears to be superficially nonsense. Beautiful nonsense, thus, is any literary output that is not devoid of even the faintest of sense. Some outputs that I call beautiful nonsense may neither educate nor inform, they may not even be a corrective fluid overwriting societal ills. But these outputs may serve a purely beauteous effect, purely written for the fun of allowing any discerning reader to savour its aesthetic value with no strings attached. At infancy, a baby merely imitates sounds picked from its environment. As the baby grows into a child, he or she acquires a few basics of the language. By the time adulthood sets in, he or she is able to manipulate the language with ease. This evolutionary process is applicable to a creative writer. The novitiate writer starts by imitating the style of accomplished writers whom he or she admires, before he or she matures into a distinct voice carving a niche for himself or herself. Following trend may not be too bad, after all. When everyone wears the latest designers in town, you certainly do not want to be left behind except you are not financially buoyant enough to afford such luxury. The same obtains in literary world. You might be a brilliant writer and still choose to follow a trail instead of blazing yours. But while following that trail, you can create a few differences so your work doesn’t make an exact duplicate of the modelled work. Sometimes, a writer’s literary style is not directly equivalent to the writer’s lifestyle. That I write about dirty, unpleasant realities like addictions, perversions and gangsterism doesn’t mean that I have ever been through those experiences. This is where many non-initiate admirers of literature go wrong. They think that every literary invention is a clear-cut depiction of its inventor’s existence— except, of course, in cases where it is stated otherwise by the writer. For instance, memoirs, autobiographies and travelogues may be genuine reflections of the writer’s life, not just any random person’s. But what is literature without deviance? Maybe shallow and callow! One’s true magnanimity as a writer lies in his ability to abjure whatever constraints, rising beyond existing protocols to ignite a revolution, a kind of “literovolution”, something different from the usual, not minding whatever inimical reactions may trail afterwards. This task may be daunting, appearing seemingly unachievable, but many writers have risen to the occasion and distinguished themselves from the crowd. “Utter gibberish” is what I abhor. Any literary output riddled with grammatical and syntactic errors may be described in this sense. That is why, as writers, we must refuse to rest on existing laurels and strive for improvement. In sum, literature can be so ridiculous that it takes the form of a mad man whose incoherent speech and outward appearance puts you off at first. You then later realize, after observing him more closely, that a mad man sometimes makes sense. Adedamola Adedayo (Jones Phoenix) is a writer, poet, spoken word artiste and a literary stalwart who hails from Lagos. Apart from writing, he has an insatiable appetite for reading and watching football. At present, he is a 300 Level student of English Literature at Lagos State University.